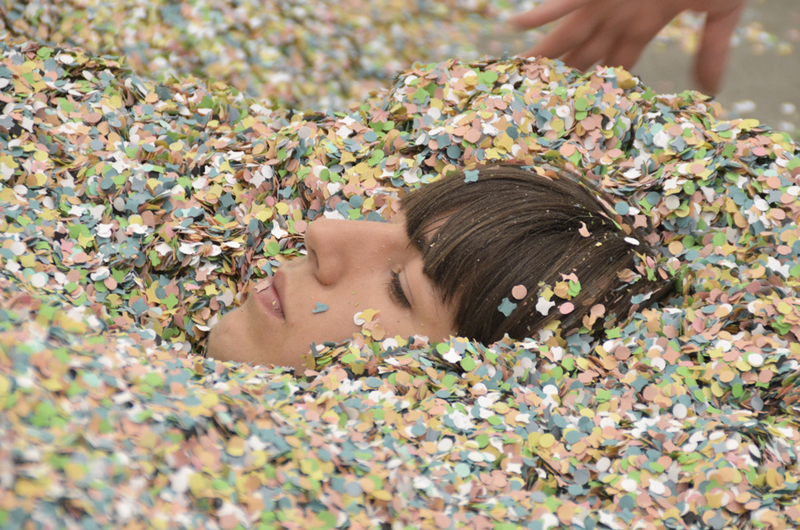 Got my mind on confetti and confetti on my mind. 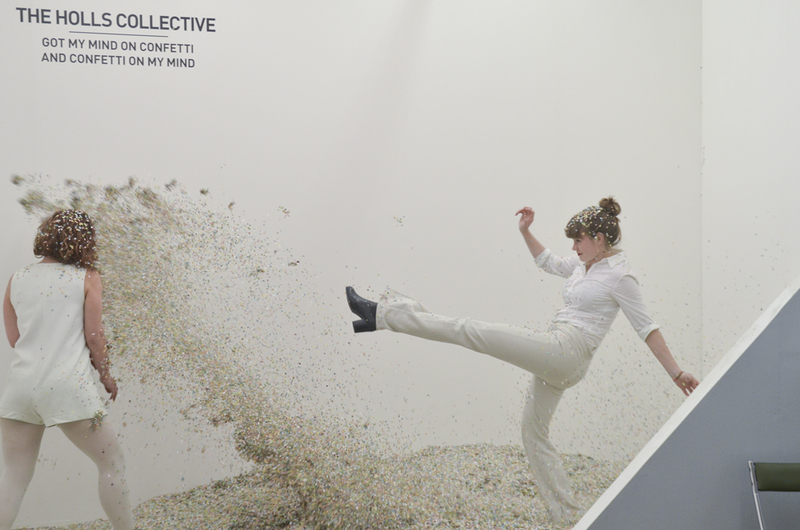 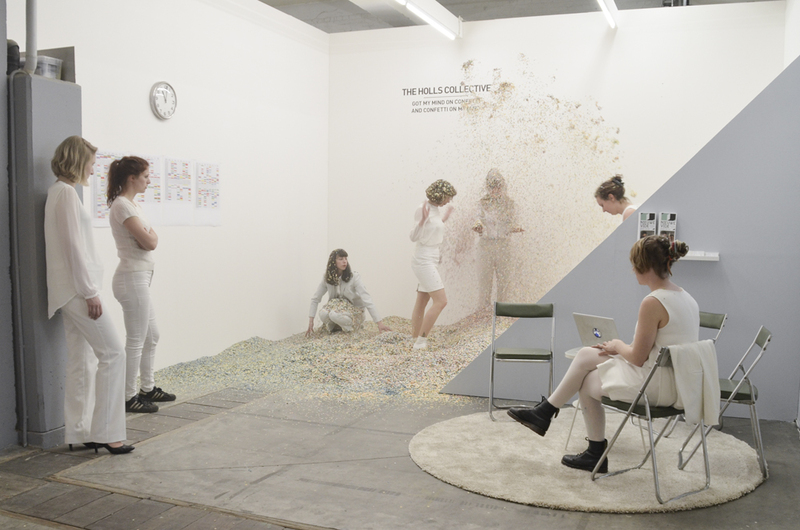 During Art Brussels The Holls Collective presented its ongoing performance Got my mind on confetti and confetti on my mind, an adaption of their earlier work Confetti/Control (2013). 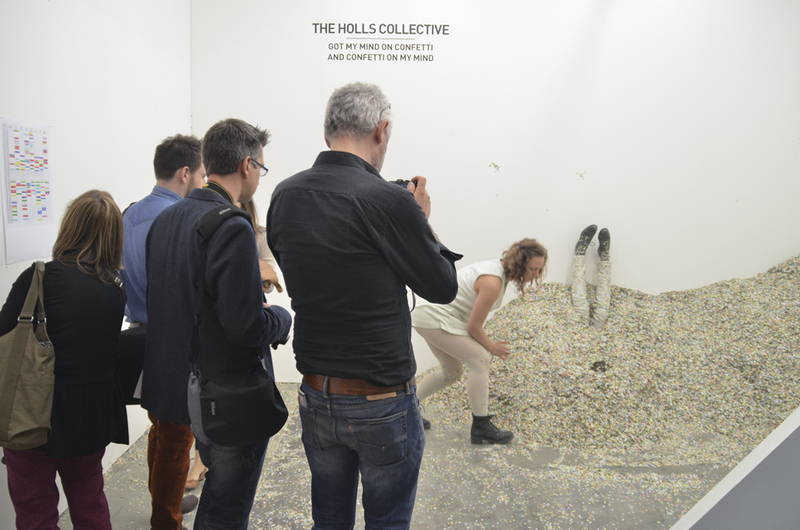 The eight members of The Holls breached Art Brussels as they meticulously carried out performances with 200 kg of confetti, according to a fixed time schedule. 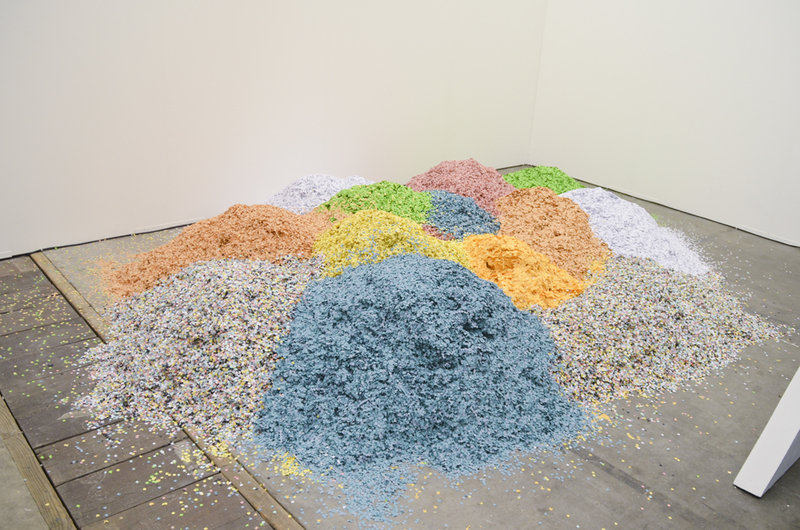 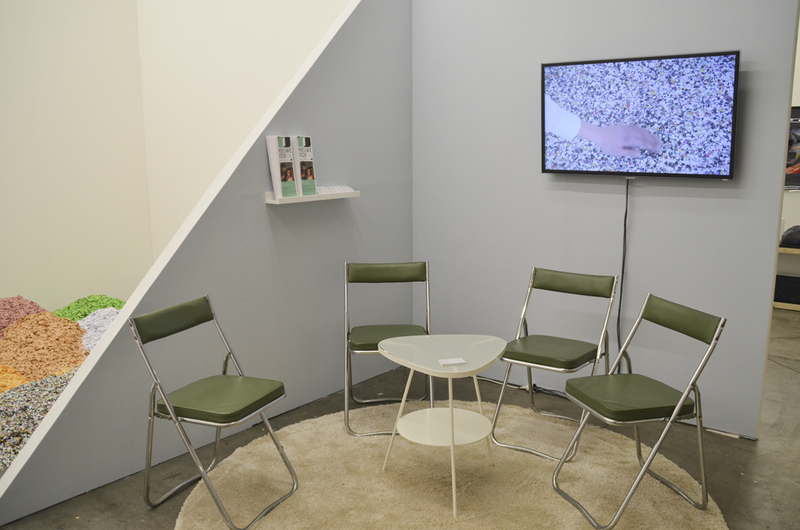 The pile of confetti was a recipe for chaos, creating a situation that related to the conditions of the art fair. 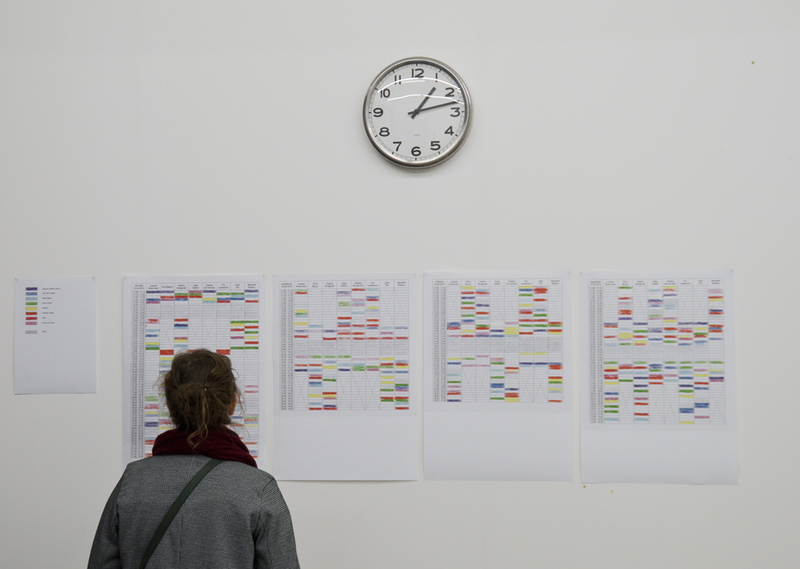 The schedule demanded both conceptual and practical tasks, staging group dynamics that varied between solo shows, internal obstructions and seamless teamwork. 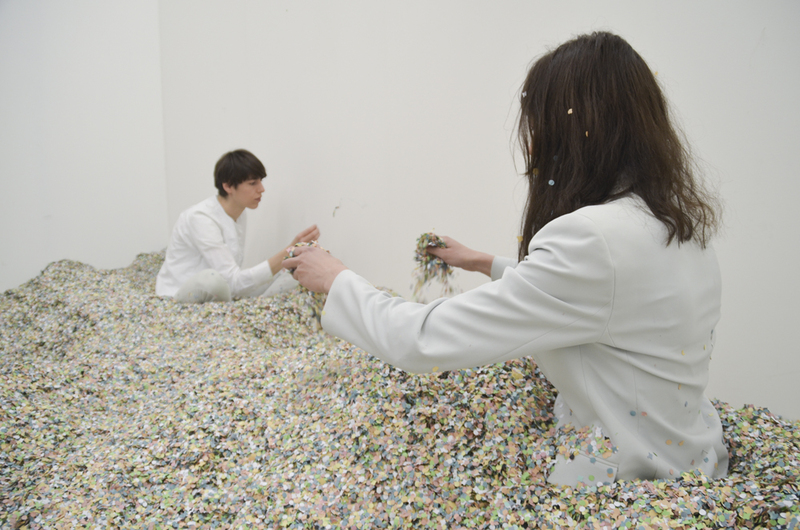 Boundaries were lost and found. 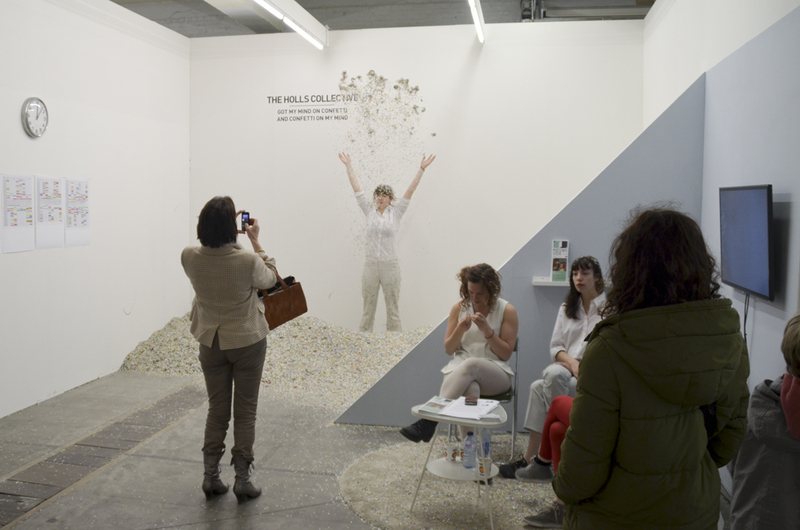 Inadvertently carried by visitors, Got my mind on confetti and confetti on my mind slowly but surely overtook Art Brussels. 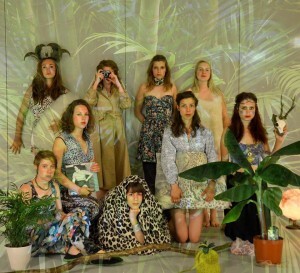 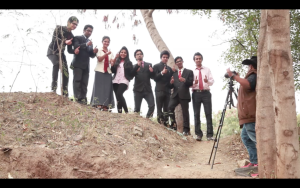 Photography and video registration by Margarita Maximova. 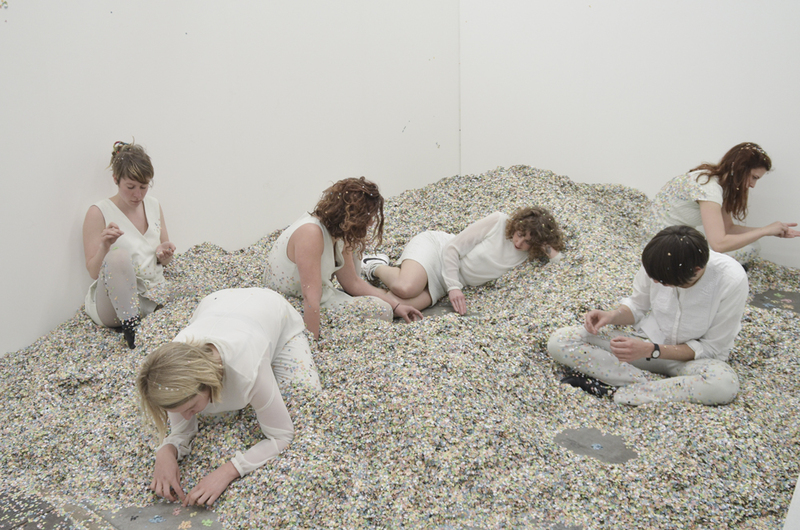 Supported by Mondriaan Fund and Stroom Den Haag.